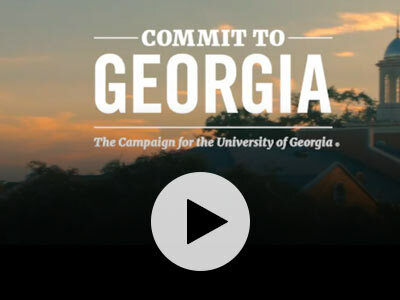 The UGA Foundation established the Foundation Fellowship in 1972 to attract the state and the country’s brightest young people to the university and to enhance the learning learning environment for those outstanding undergraduates. Today, it is UGA’s most prestigious undergraduate scholarship and illustrates the power of private funding to change lives and prepare these students to be future leaders and change-makers. This article was originally posted on UGA Today on Sept. 26, 2018. This fall, the University of Georgia welcomed 20 of the top students from around the nation into its incoming class for 2018-2019 through the Foundation Fellowship, the highest academic scholarship the university awards. 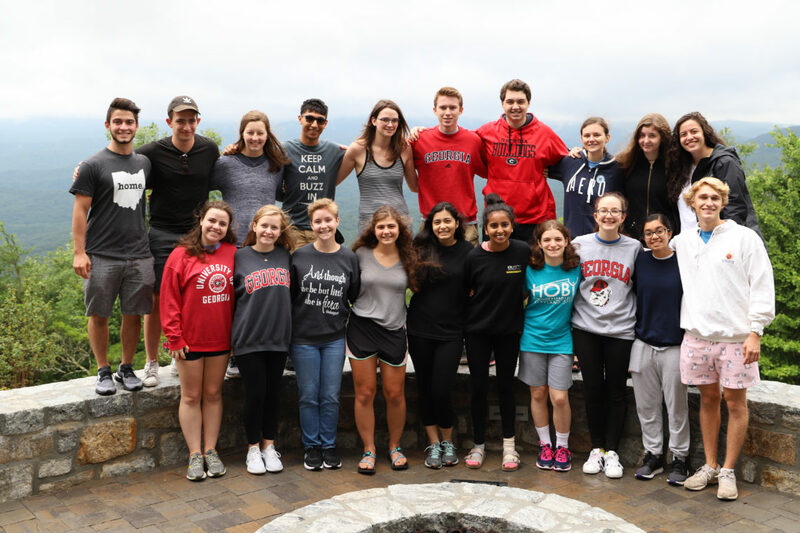 These new Foundation Fellows had an average SAT of 1555, an average ACT of 35.2 and an average high school GPA of 4.34 on a 4.0 scale—extra points indicate advanced placement courses. Administered by the UGA Honors Program, the Foundation Fellowship was created in 1972 by trustees of the UGA Foundation to enrich the educational experience of outstanding undergraduates. This year’s recipients were selected from 1,200-plus applicants. Through the Fellowship, in-state students receive an annual stipend of $12,300 and the Zell Miller Scholarship. Out-of-state students receive an annual stipend of $20,300 and out-of-state tuition waivers. In addition to group travel-study experiences, including a Maymester study abroad at Oxford University and three spring trips, Fellows also receive $9,000 in individual travel grants and up to $1,750 to fund research and academic conference attendance. The 20 new Foundation Fellows, listed below with their high school, hometown and major, bring the total number of current recipients to 88. Robyn Evelyn Anzulis; South Carroll High School; Woodbine, Maryland; applied mathematics and economics. Luke Joseph Armao; Archbishop Hoban High School; Fairlawn, Ohio; biology (neuroscience concentration) and computer science. Eva-Michelle Belikova; Woodstock High School; Woodstock; biology. Claire E. Bunn; Marion Senior High School; Marion, Arkansas; biochemistry and statistics. Keaton Patrick Coletti; North Oconee High School; Bogart; business, economics and engineering. Emma Calhoun Ellis; Lovett School; Atlanta; genetics and Romance languages. Elizabeth Ann Esser; Cedarburg High School; Cedarburg, Wisconsin; genetics. Emma Chandler Innes Hale; Charlottesville High School; Charlottesville, Virginia; criminal justice and history. Edward Tatum Hunda; Wheeler High School; Acworth, Georgia; animal science. Jena M. Jibreen; Collins Hill High School; Lawrenceville; international affairs. Jamil Fayazali Kassam; Gwinnett School of Mathematics, Science, and Technology; Suwanee; computer science and genetics. Aparna Pateria; Northview High School; Johns Creek; biology and genetics. William Goins Ross; Marist School; Atlanta; finance and business analytics (master’s degree). Nathan Samuel Safir; American School of The Hague; Wassenaar, Netherlands; computer science and mathematics. Anna Samsonov; Lafayette High School; Wildwood, Missouri; anthropology and biochemistry. Oleksandra Stogniy; Woodstock High School; Acworth; biochemistry and molecular biology. Emma Joanna Traynor; Savannah Arts Academy; Savannah; international affairs. Jaaie Upkar Varshney; Rome High School; Rome; biochemistry and molecular biology. Margaret Elizabeth Warren; George C. Marshall High School; Dunn Loring, Virginia; actuarial science and Spanish. Himani Yadav; Lambert High School; Suwanee; cognitive science and computer science. The Foundation Fellows are enrolled in the UGA Honors Program, which had 745 new students this fall. Overall, these new Honors students had an average high school GPA of 4.11, an average SAT of 1510 and an average ACT of 33.7.